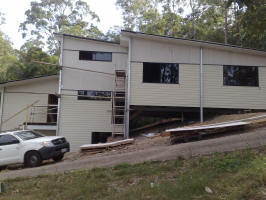 Split Level Home designs are an excellent way to utilise sloping land. The Ezy Homes construction system allows our standard designs to be modified into split levels, very easily and without blowing the budget. 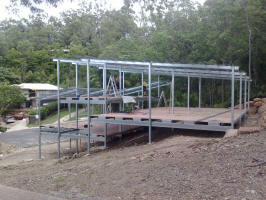 A recent example is a project currently under construction at Cornubia. The challenge was to design a large family home, on a small steep building site – while still keeping within local council maximum height restrictions. 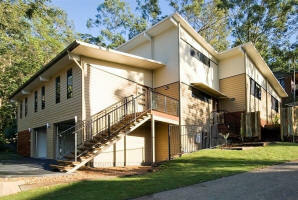 The result is a custom design, multi-level home – based on our “Outlook” standard plan. This design includes 2 car garage, 4 bedrooms, rumpus, office, and open plan living. This project is just one example of how the Ezy Homes construction system has been used to build a beautiful home, on a difficult building site, at an affordable price.